Simple and very versatile bottom button design! 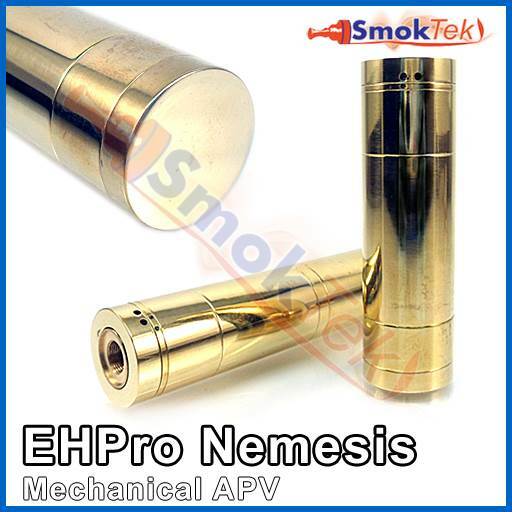 The EHPro Nemesis mechanical APV accepts both button and flat top 18350, 18500 and 18650 protected and IMR batteries. 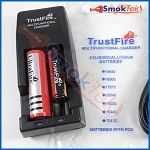 To use without a vapesafe fuse, you must remove the beauty ring on the main piece. 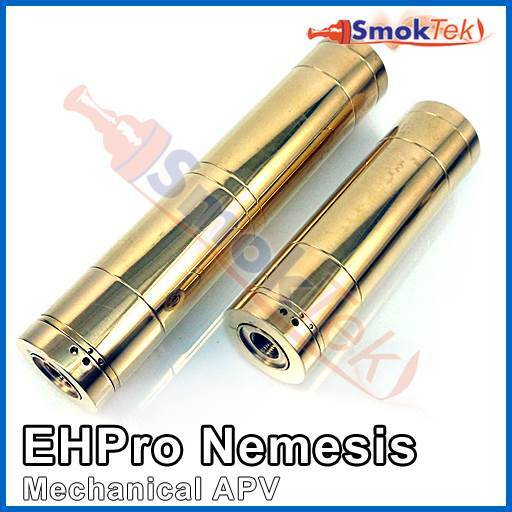 The EHPro Nemesis works great with the KICK. The Nemesis has a 510 recessed connector. 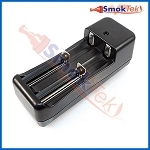 The top and bottom contacts of the Nemesis are silver-plated to reduce voltage loss. 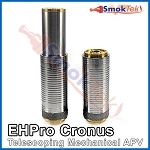 The mechanical fire button on the EHPro Nemesis is located at the bottom of the unit and is quite comfortable to use, requiring little pressure to activate it. 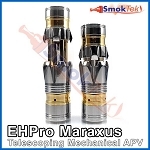 It also offers versatility since it has its own adjustable post. 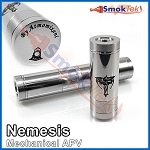 The battery vent holes on the bottom of the Nemesis can be easily concealed (by tightening the bottom locking ring); coupled with the adjustable top cap ring, this allows for adaptable air flow. 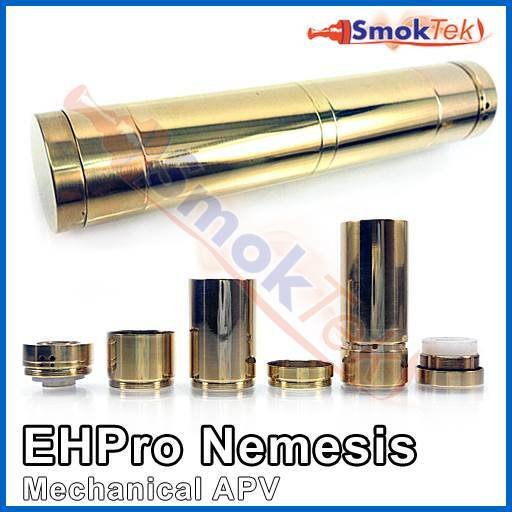 The EHPro Nemesis is machined extremely well with polished brass finish!